Going back to school is an exciting and happy time of year for children, with friends to make, a new teacher to meet, and a classroom to explore. But, there can be anxiety, too. Different schedules, feelings, and expectations can give a child butterflies and even create some queasiness for parents. We all want our children to do well and adjust quickly. To keep your family positive and ease any trepidation about starting a new school year, establish a few daily routines so there are at least some things to count on that aren’t new every day. Keep your child’s morning “get-up and get off to school” routine the same each day, so everyone knows what to expect. Do a quiet activity or snack every day when your child comes home as a way to transition from school. Keep your child’s bedtime the same time each night so your child is well-rested for the next day at school. And, of course, build in some read aloud with your child. Even after he or she learns how to read independently, snuggling up with a parent and hearing a book read aloud reassures your child that some things don’t have to change. Quality time together is still part of everyday family life. Older children can listen to chapter books read aloud and will learn new vocabulary and ideas hearing you read. Younger children listening to you read picture books will learn words and ideas too, and can come to understand their feelings and how to handle new situations that arise at school. Reading any books together is comforting, but here are some books especially about the elementary school experience that open up discussions for you to have with your child. Laugh, talk, and learn together! “The Gingerbread Man Loose in the School” by Laura Murray, illustrated by Mike Lowery. In this book the gingerbread man chases after the school children instead of the other way around. He just wants to join in the fun, but can’t quite keep up! He enlists the help of all the grown-ups at the school and finally does meet up with the children, after touring the whole building. “How Do Dinosaurs Go to School?” by Jane Yolen, illustrated by Mark Teague. Huge, colorful dinosaurs innocently create havoc as they start a new school year. The rhyming text has a rhythm that keeps the story going as the dinosaurs learn what kind of behavior is appropriate at school. As they get used to school, they share, are polite, and even keep things picked up. 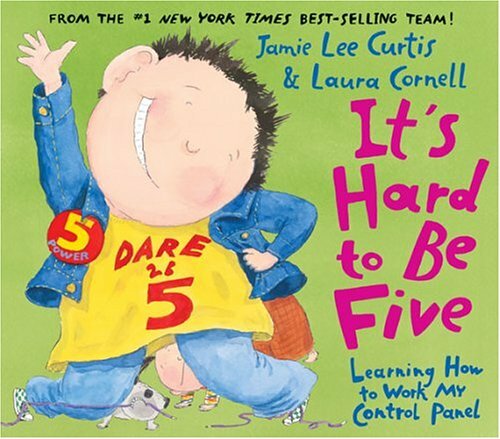 “It’s Hard to Be Five: Learning How to Work My Control Panel” by Jamie Lee Curtis, illustrated by Laura Cornell. This is another winner by this writer/illustrator team. Actress Jamie Lee Curtis writes with humor and honesty at a level that children embrace. It really is hard to be five-years-old. The book describes how the days of being little are gone, but you still haven’t practiced a lot of self-control. Thank goodness that we each have a “control panel” that we can learn how to use! “The Incredible Book Eating Boy” written and illustrated by Oliver Jeffers. 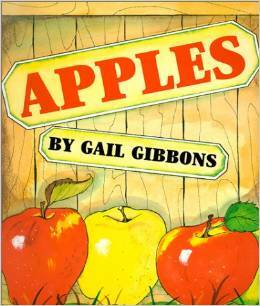 This is not a typical “back to school” book, but has just that kind of humor a kindergartner will enjoy. When a boy develops a habit of eating books, yes, actually taking bites and swallowing books, the words get all jumbled in his stomach (and brain). He finally learns he can “digest” a book much better just by reading it. The illustrations are collaged type written words, images, and drawings.